Now that a new bishop for Groningen-Leeuwarden has finally been appointed, a period of months begins until his consecration. Set for 3 June at St. Joseph’s cathedral, Msgr. Ron van den Hout will be the first bishop consecrated there since 1999, and only the second one ever. 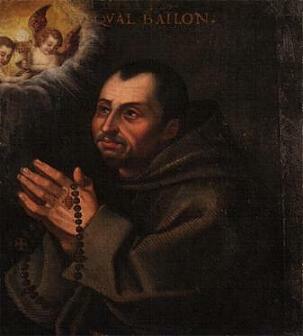 The new bishops’ predecessor, Msgr. 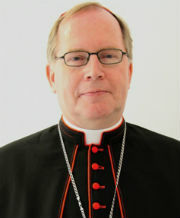 de Korte, was already a bishop when appointed to the northern diocese in 2008, so he was only installed as ordinary. It is not yet known who the consecrating bishops will be, but I would not be surprised if Bishop Gerard de Korte would serve as chief consecrator. 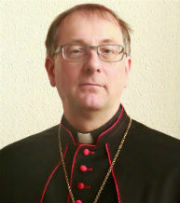 Bishop-elect van den Hout not only succeeds him as bishop of Groningen-Leeuwarden, but also served as his vicar general in ‘s-Hertogenbosch for a year. The bishop who initially appointed Msgr. van den Hout as his vicar general, Msgr. 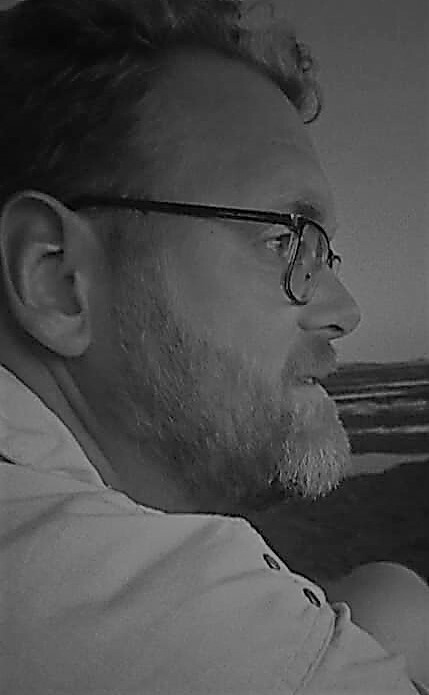 Antoon Hurkmans, could also be invited to travel north from Rome to be one of the two co-consecrators. “One of the Eucharistic prayers says, “Confirm your Church in exile. Make her one in love and faith” [literal translation from the Dutch text – MV]. In my lectures the topic of exile was frequently addressed. In exegesis, the time of the Persian and the exile has been given more attention. Upon the news of Bishop-elect Van den Hout’s appointment, which was, perhaps unavoidably leaked several hours in advance, the Bishops’ Conference welcomed him into their ranks. Via conference president Bishop Hans van den Hende, they assured him of their prayers, especially in the weeks towards his consecration and installation. “Pope Francis’ choice means a great sacrifice for our Diocese of ‘s-Hertogenbosch. In the past year I have gotten to know Ron as a jovial priest of Brabant. Through the appointment of Dr. Van den Hout as new bishop of Groningen-Leeuwarden I lose a reliable and hard-working coworker. But I get him back as a colleague in the bishops’ conference. Everyone’s marking the day last year that Pope Benedict XVI announced his resignation. Surely, 11 February 2013 was a day that still resounds today. Personally, Benedict XVI is very much “my Pope”. He was the Holy Father when my curiosity for the faith awoke, when I started the road towards Baptism, the sole Pope whose name I had heard in the Eucharistic Prayer (barring a single slip-up from my priest one time), and when I started my blogging. And suddenly that came to an end. I now understand those who consider Pope John Paul II to be “The Pope”. For me that is Benedict XVI. I love Pope Francis like a Catholic should, but I am also still getting used to him. I have created a page collecting my blog posts of the period that started with that shock announcement on 11 February 2013. You may find it here, and under the title bar above. Cardinal Eijk sanctions a priest for excessive liturgical creativity, so why is the cardinal the bad guy? Cardinal Eijk is the media’s bad guy again. He sanctioned a priest for ‘forgetting’ a few words at Mass. Well, as it often is when secular media try to report on Church business, reality is a bit different. It is true that the priest, a Dominican who assists at a parish northwest of Utrecht, has been forbidden to publicly offer Mass for a year. It is also true that he forgot some words. And then some more. A Mass in which the Kyrie, Gloria, all three prescribed readings, the preface and the entire Eucharistic Prayer were either skipped or replaced is, quite frankly, not a Mass. The bread and wine do not become the Body and Blood of Jesus Christ, the faithful do not partake of Communion with God and Church, and the priest flouted his oath and duty. A previous “misstep”, as the Archdiocese calls it, in the same parish, prompted the cardinal to re-emphasise the liturgical rules in force in the Church. Is this reason for the sanctions as described above? That can be debated, of course, but the fact is that this is exactly why Cardinal Eijk wanted to focus more and how the liturgy is celebrated in his archdiocese. It is also fact that the liturgy of the Church is not just a collection of rules for their own sake. “[Replacing or skipping the Eucharistic Prayer’] is most serious, since this invalidates the celebration of the Eucharist. It means that faithful came to the celebration, to receive the Body of Christ, in vain. The Eucharist (which refers to the Last Supper of Jesus Christ) is the most important sacrament, in which the faithful celebrate their unity with God and each other. All the more painful in this context is the fact that, on Maundy Thursday, the Catholic Church celebrates the institution of the sacrament of the Holy Eucharist and the institution of the priesthood. Cardinal Eijk thinks that faithful should be able to rely on valid Masses being offered in the churches of the archdiocese. Not without reason the Vatican instruction Redemptionis Sacramentum states that the complete omission of the Eucharistic prayer is “objectively to be considered among grave matters […] that puts at risk the validity and dignity of the Most Holy Eucharist”. Priests have considerable freedom in the pastoral care they perform for the faithful under their care, in the way they teach and proclaim the faith. They do not, however, have the freedom to change or ignore what God, through His Church, instituted. The sacrament of the Eucharist is the single most precious treasure we have been given: it is Christ Himself. By changing what He wants to give us every single day, we place ourselves above Him. True, we are very important, also to the Lord. But we are not Him. The priesthood is the channel through which Gods grace, in the sacraments, comes to His people. The channel can not change what it is given to safeguard and pass on. So, yes, Cardinal Eijk is very correct in taking steps to correct this abuse. No one with a basic understanding of Catholic theology and understanding of the sacraments has any excuse not to realise that. Sadly, none of these people work at newspapers and television stations. Posted on October 7, 2013 October 8, 2013 Categories Catholic Church in the NetherlandsTags archdiocese of utrecht, communion, consecration, dominican order, eucharist, eucharistic prayer, gloria, jesus christ, kyrie, last supper, liturgy, mass, maundy thursday, media, priesthood, redemptionis sacramentum, wim cardinal eijk22 Comments on Cardinal Eijk sanctions a priest for excessive liturgical creativity, so why is the cardinal the bad guy? In the middle of the month we had the momentous announcement and we ended up with the actual vacant see of Rome. With 10,148 page views, I am happy to see that my thoughts about this historic period in the Church were read and appreciated by many. Readers from The Spectator in the UK found their way here (nice to see you here! ), as did many others via blogs and social media. Fr. Roderick’s sharing my blog post about the Pope’s last general audience also caused a spike in the page views, so thanks very much for that! Anyway, on to the top 10, which may be a bit different than expected.